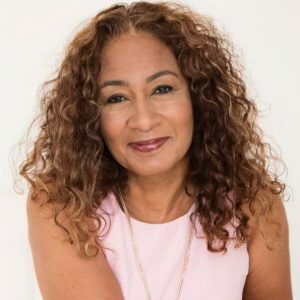 In a week when there was a surprise change of Education Secretary in England, it was a delight to welcome Alison Kriel to the podcast. Alison has the experience of turning round a school which was in a remarkably challenging state and as Mike puts it, ‘leading with compassion’. She also has a focus on wellbeing and the dramatic difference it can make to staff and students. She is originally from South Africa and ‘feel into teaching by default’. She chose to teach in Hackney, inner London because she loves the diversity and spent a long time as a Deputy with responsibility for inclusion in a Primary School there. Alison became a headteacher in 1999 in a school in Stoke Newington which she built up from a brand new, small Early Years School to become a two-form entry Primary School. Eventually, the local authority asked her to take care of another school which was ‘in a troubled place’ – an arrangement only meant to last for 4 months. In fact, Alison remained there until last Summer – 2017. She remains the CEO of the Trust but is now pursuing different directions in education, after being a headteacher for a long time. At what stage did leadership appeal to you and how did you find it at first? Alison never saw herself as a leader – it was more about opportunities presenting themselves. The headteacher she first worked for as deputy was outspoken yet commended great respect. She ensured that Alison had plenty of opportunities to develop her leadership skills while also backing her up – if anything went wrong it was her headteacher’s responsibility, not hers. Alison was deputy for around 8 years and then was persuaded to go for headship by her headteacher. She was shocked to be selected. Looking back now, she believes that her success was due to the model of her headteacher – she feels that she didn’t have enough life experience to be a good leader. What was Nothwold School in Hackney like when you took over? There hadn’t been a permanent headteacher for three years, there was a very high number of supply teachers (£780,000 was spent on them in the year before Alison arrived) and there was a falling school roll. The children’s behaviour was ‘seriously off the wall’ and staff attendance was at 64%. The only way that the school could get students through SATs was by putting in many interventions which was very expensive. The children had no respect for the adults and the adults had no respect for the children. It was a community in fear. The school was only focused on results, not on the journey. What did you do to turn things around – what was the process in terms of behaviour? Despite opposition from staff, Alison scraped the dinner plates in the lunch hall as one of her first actions to turn the school around. This means you can have the simplest communication possible with a child and it helps you to form informal relationships. Alison also persuaded the staff that if they wanted the children’s behaviour to change, they had to be role models for that change. A lot of the children didn’t have those kinds of role models at home. After conversations with her mentor, Alison realised the importance of wellbeing for herself and, as a consequence, for the whole school. Her governors understood the importance of Alison’s wellbeing as well and were happy to support it financially but Alison persuaded them that the wellbeing of the whole school was important and so they decided to set aside 1% of the school budget for mindfulness. In fact, Alison ended up going to the local Buddhist centre and arranged training from there for the whole staff in breathing. She combined this with thinking about how to make teachers’ working lives better around workload and, for example, cancelling the morning briefing which could be a major source of stress. She replaced it with time for mindfulness. This then spread to the children and the impact has been remarkable – Alison describes it as one of the best things she has done. This is backed up by the radical improvement in teacher attendance statistics.